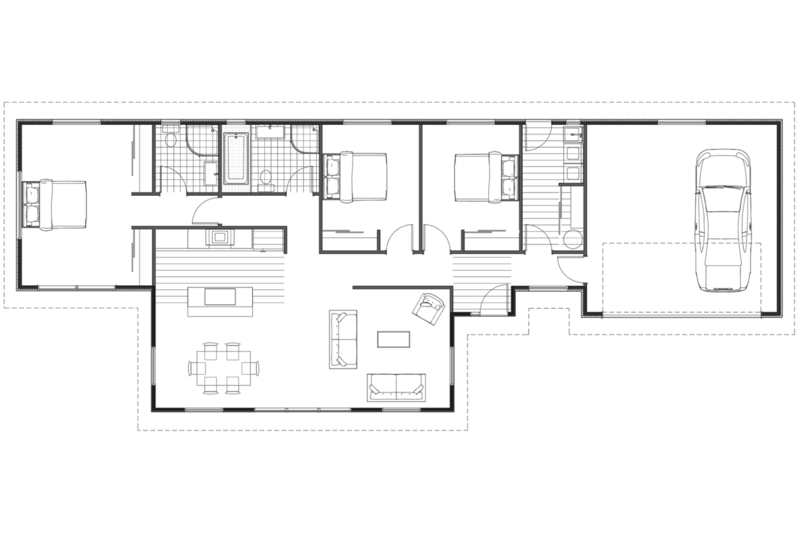 At 163 square metres, the Kowhai is a superb option for people seeking an intelligently designed 3 bedroom home. The architecture of this home provides all day sunlight, plenty of storage and a defined entrance area. As well as his and hers wardrobes in the spacious master bedroom. The Kowhai provides all the benefits of one our most popular homes – the Hawthorn – but with the addition of a 34 square metre attached garage. For all enquires about Kowhai 163, speak to our dedicated agent, Carl Watson.